Zenit ended the season with the victory in the third-place game of the VTB League Final Four. Zenit St. Petersburg prevailed over Unics Kazan with 93-79 in the third-place game of the VTB Final Four. 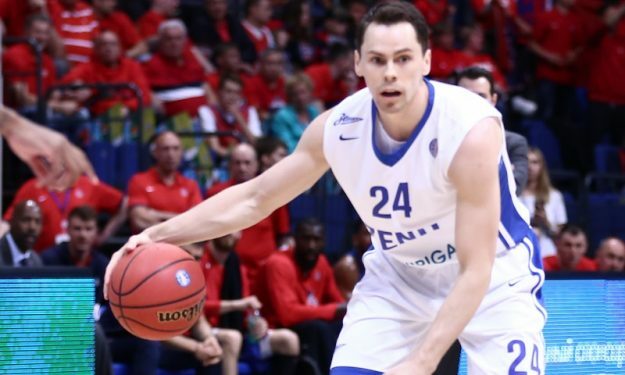 Kyle Kuric put on a completely dominant, 29-point performance (5/9 from the three-point line) for Zenit and played a key role in his team’s outburst in the second half. Demonte Harper followed with 20 points. Jamar Smith tapped 16 points, two rebounds and two assists for the opposing side. Despite the loss, Unics had a notably successful run in the season, losing only to finalist CSKA before the Final Four.